Yuksom - the first capital of Sikkim established in 1642 AD - is a historical town in Geyzing subdivision of West Sikkim district. Situated at an altitude of 1780 mt, the place is famous as the starting place for mountaineering expeditions and treks to higher Kanchenjunga ranges. Yuksom is where there is the Norbugang Chorten near the Norbugang throne, the place Namgyal was crowned and several monasteries and a lake. The dynastic rule of the Chogyals lasted for 333 years. Yuksom has special religious and cultural significance. It has a number of famous Buddhist monasteries and historical monuments. The Royal Family established the first monastery at Yuksom in Sikkim known as the Dubdi Monastery in 1701, which is part of Buddhist religious pilgrimage circuit involving the Norbugang Chorten, Pemayangtse Monastery, the Rabdentse ruins, the Sanga Choeling Monastery, the Khecheopalri Lake, and the Tashiding Monastery. The name `Yuksom` means the meeting place of three Lamas. 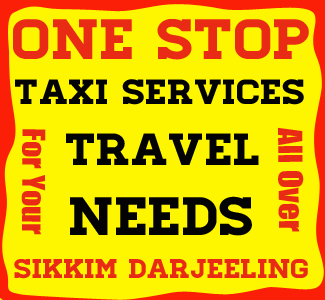 Tourists can reach Yuksom easily from Pelling. Tourist Visiting Zuksom are suggested to stay for minimum 1 nights. First day - tourist can reach Yuksom from Pelling Second day - Sightseeing of Yuksom and back to Destination. Pelling to Yuksom : 40 kms. Gangtok to Yuksom : 145 kms. Due to its advantageous location, many hotels and lodges have come up in and around Yuksom catering to varied tastes and budgets. Indian : Indian tourists visiting Yuksom do not require permit to visit. Best time to visit Yuksom is during the months of March, April, May, June, October, Nov. Most of the roads remains closed during the month of July, August due to heavy rainfall and landslides. Also some of the tourists don't prefer to visit Yuksom in the months of December, January and Febrary due to cold climates.